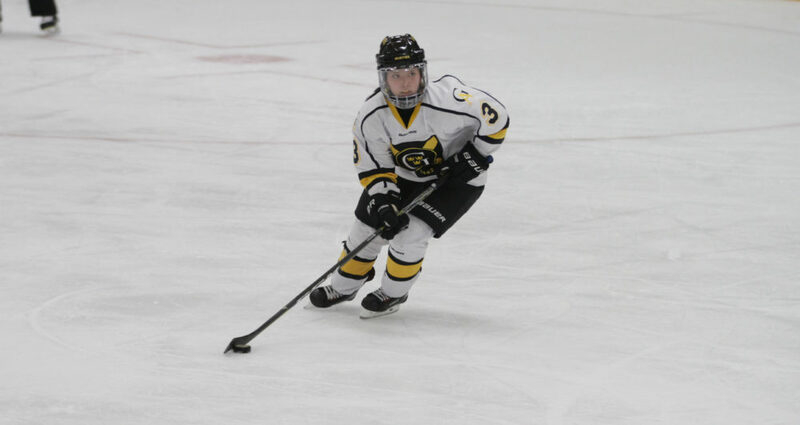 SAINT PETER, Minn. – The Gustavus women’s hockey team played host to No. 4 St. Thomas on Saturday afternoon and came away with a 2-2 tie. With the tie the Gusties are now 8-4-2 overall and 5-2-1 in MIAC play while the Tommies move to 13-0-1 overall and 7-0-1 in conference play. The Gusties got the scoring started less than 30 seconds into the game when Grace Schulte (Fy., Little Falls, Minn.) took a shot off a pass from Jamie Byrne (Fy., Delano, Minn.) that found the back of the net. It was Schulte’s second goal and Byrne’s third assist of the season. The Gusties didn’t stop there though as at the 6:12 mark of the first period Lauryn McNeil (So., Shakopee, Minn.) received a pass from Leah Pavlish (Fy., Prior Lake, Minn.) and made a good move in front of the net to find herself an open shot for the score. It was both players first points of the 2018-19 season. The teams played scoreless for nearly 40 minutes until the Tommies scored at 3:44 of the third period when they had a few rebound opportunities and finally flipped one up and over Amanda DiNella (Sr., Oakbrook Terrace, Ill.) for the goal. Trailing 2-1 with under six minutes to play the Tommies took a shot that hit the pipe and bounced across the crease where they had an open backside of the net opportunity and connected to even the score up at 2-2. The rest of the third period went scoreless and was sent to overtime where Gustavus outshot St. Thomas 3-0 but were unsuccessful in finding the back of the net and the game ended in a 2-2 tie. DiNella had another solid outing in net for the Gusties making 28 saves in the contest while allowing the two goals. The Gusties will next be in action on Friday when they host Augsburg for a 7 p.m. contest.